Samer currently is the Head of Information Security and Internal Controls for Indigo Books and Music Inc. – Canada. Leading a team of security professionals to provide Indigo with the best information security protection possible and maintain compliance with regulator’s requirements. 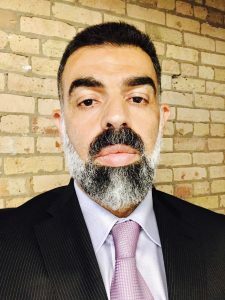 Before joining Indigo, Samer was the CISO for the Canadian office of a Global IT Consultancy company. Managing a team which is responsible for providing a complete cyber security services externally to the clients and internally within a Global structure. Samer was the CISO for the largest payment processing company in Canada. Samer could maintain PCI-DSS complaint status for the company for 2012 – 2014 and PA-DSS status for all their payment applications. In addition, Samer served with the largest network provider for white label ATMs with the same capacity. Samer have more than 30 years’ experience in Information Security and Information Technology Infrastructure support. Samer holds a Master of Science in Computer Science and Information Technology. C|CISO, PCIISA, PCIP, CISM. Samer published two books in Computer Maintenance. Both books are part of the Grade 11 & 12 curriculum.